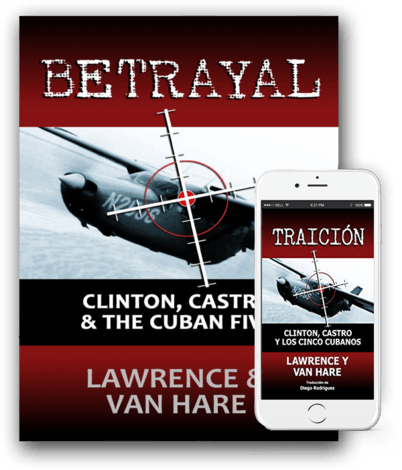 Betrayal: Clinton, Castro & The Cuban Five is a fully documented work exposing the events of February 24,1996 when Cuban MiGs attacked and shot down two aircraft from the group Brothers To The Rescue killing four aviators. Buy Betrayal Now Compra Traición Aqui! 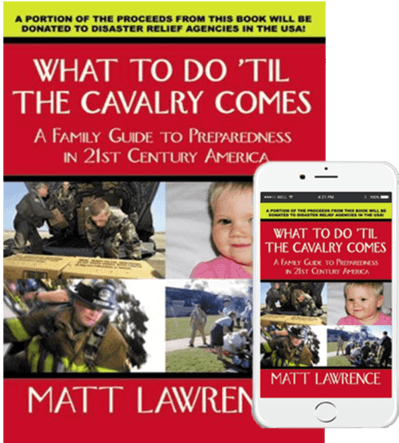 What to Do 'Til the Cavalry Comes serves as a Family Guide to Preparedness in 21st Century America. Matt Lawrence's latest book is designed to help you and your family prep for disaster. Set in 1994, Dying to Get Here chronicles the Robaina family’s struggle for survival in their small Havana barrio before deciding to make an attempt for freedom upon a small homemade raft. On February 24, 1996, three Brothers to the Rescue aircraft took off from South Florida on a search and rescue mission meant to save the lives of Cuban balseros – yet their mission would end in death, with two planes shot down by Cuban MiG fighters. Four aviators were lost – Carlos Costa, Mario de la Peña, Armando Alejandre and Pablo Morales. Their murders were perpetuated by La Red Avispa, the “Cuban Five” spy ring and a DIA analyst turned Cuban agent, Ana Belen Montes, Castro’s Queen of Spies. Betrayal: Clinton, Castro & The Cuban Five compiles extensive research, sworn testimony and fact. It reveals a cover up spanning the Florida Straits, from Havana to Washington D.C. It uncovers that senior Clinton Administration officials, including Sandy Berger, Bill Richardson, Richard Nuccio, retired Pentagon brass, U.S diplomats and even members of the U.S. media were forewarned by Castro of the shootdown, yet somehow did nothing to stop the murders. Cuba declares them heroes, yet the “Cuban Five” are serving jail sentences for espionage and murder. Now, in an opening gesture toward improving relations with Havana, the Obama Administration contemplates their release – but will the USA have to go so far as to pardon murderers? TRAICIÓN: Clinton, Castro y Los Cinco Cubanos es la versión en castellano de BETRAYAL: Clinton, Castro & The Cuban Five. Sus autores Matt Lawrence y Thomas Van Hare fueron aviadores que volaron en las misiones junto a los Hermanos al Rescate. La traducción fue realizada por Diego Rodriguez de Tranlanguage Inc. en Miami, Florida. On the 13th anniversary of the shoot down of Brothers to the Rescue, Matt Lawrence is interviewed for a segment on NBC Nightly News. 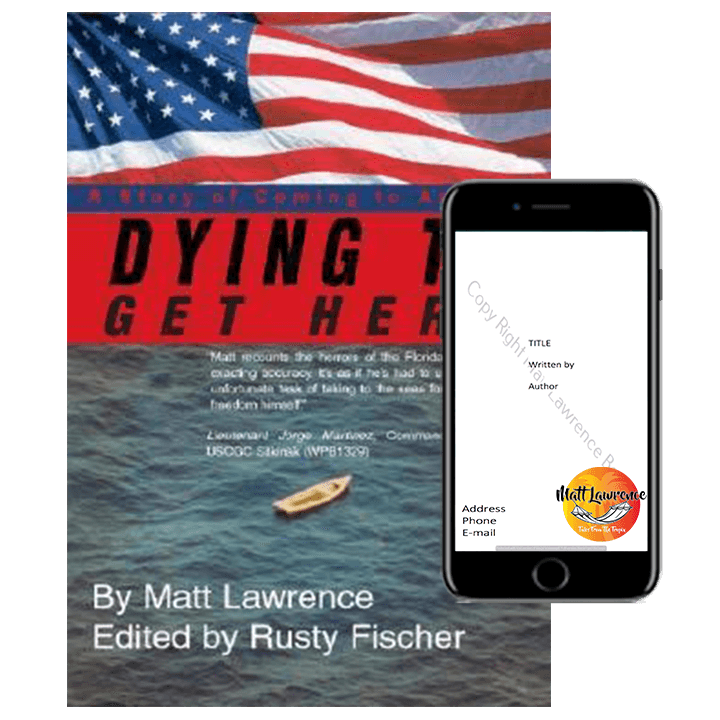 Matt Lawrence discusses the plight of Cuban rafters and his book Dying To Get Here: A Story of Coming to America.